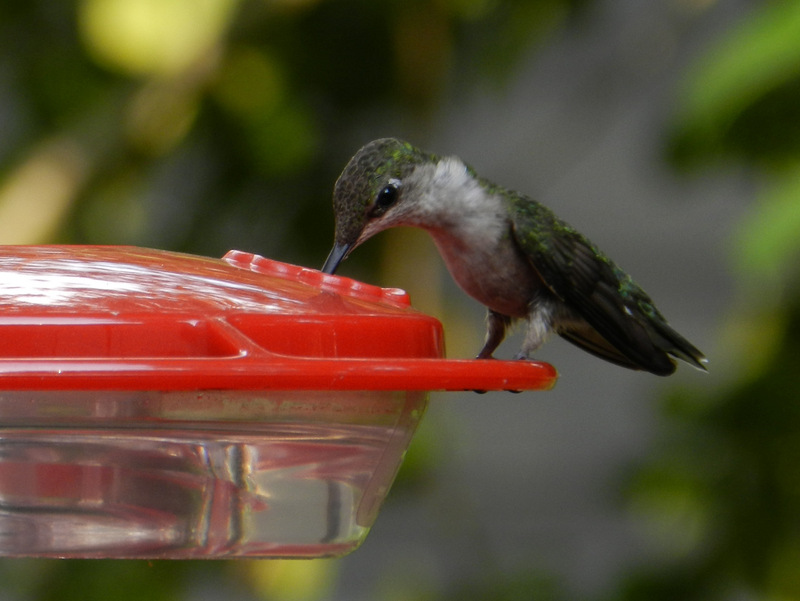 This hummingbird feeder was literally buzzing with activity. 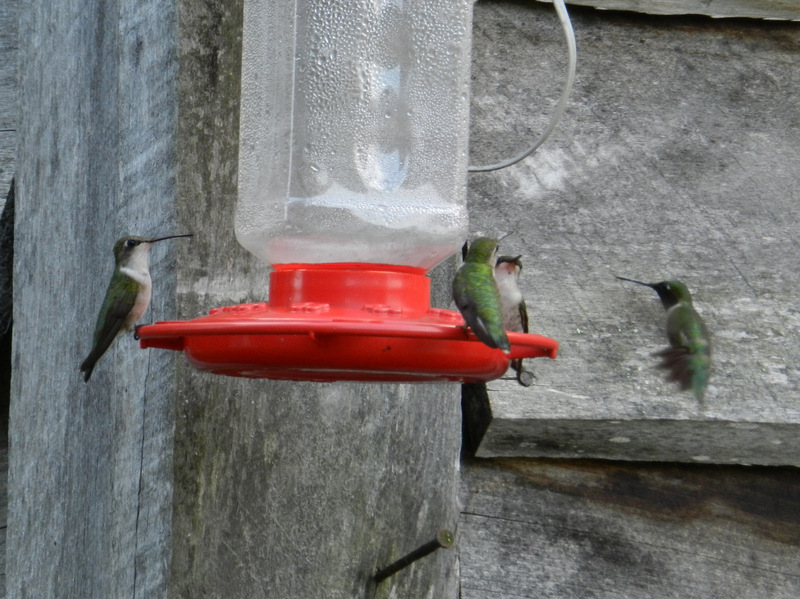 Here you can see three female Ruby Throated Hummingbirds perched on the feeder. 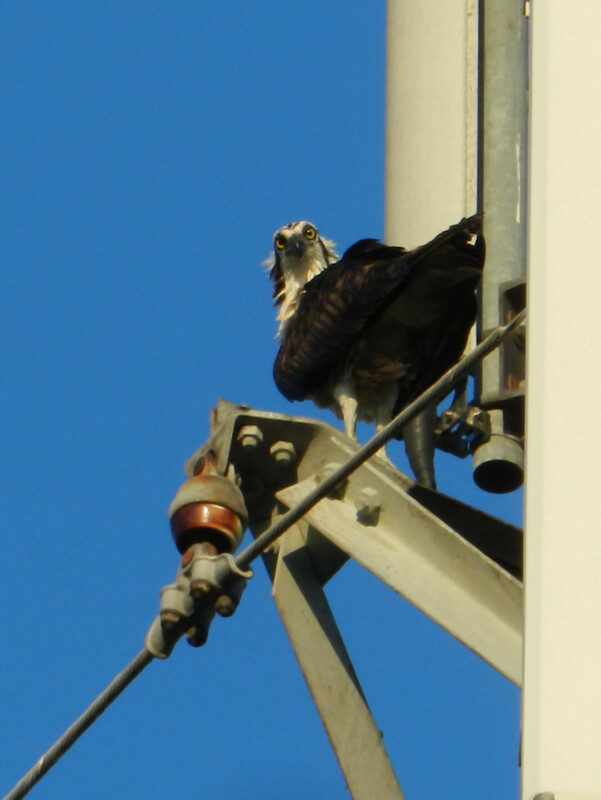 They all stopped to look as the male approached from the right. 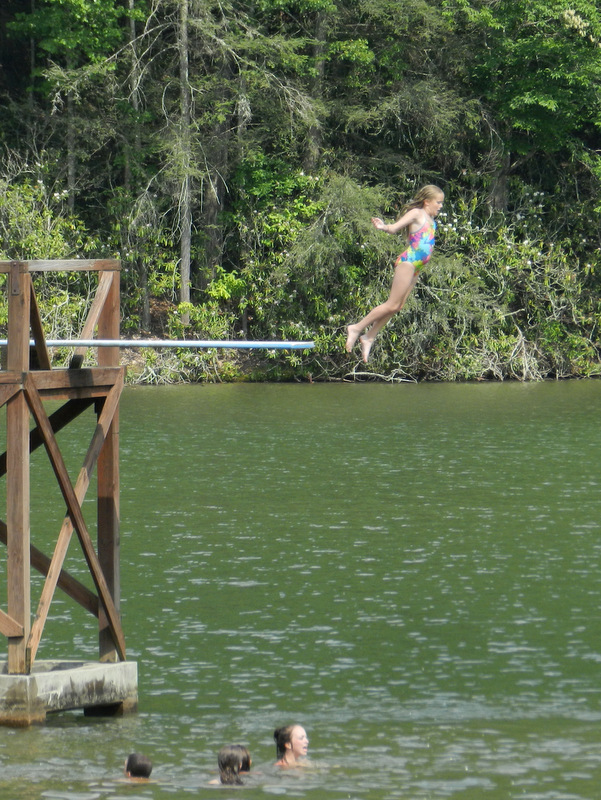 The high dive at Hungry Mother State Park in Marion, VA offers swimmers a thrill as they escape the heat. Searching for good photographic subjects on Big Walker Mountain, I happened upon a group of these large, blue and black butterflies. 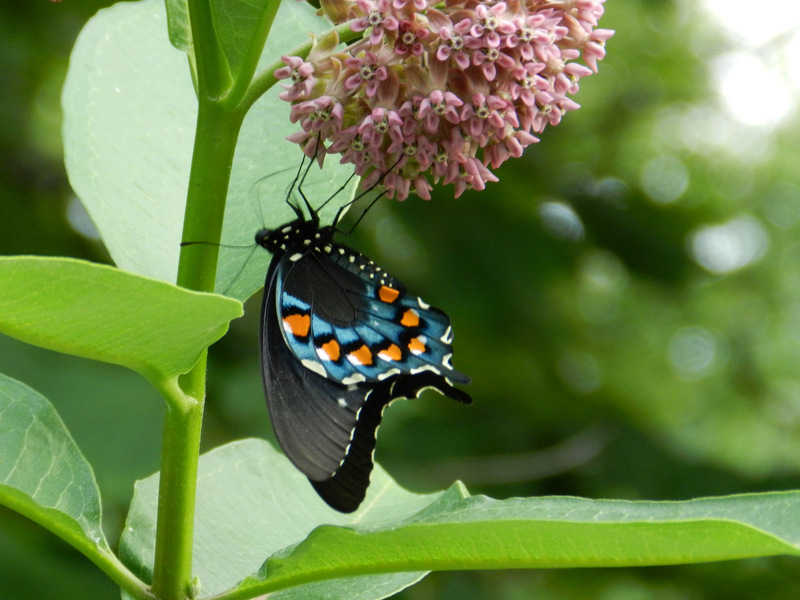 My friend James Shelton, who is quite the amateur entomologist, tells me this butterfly is a Pipe Vine Swallowtail. 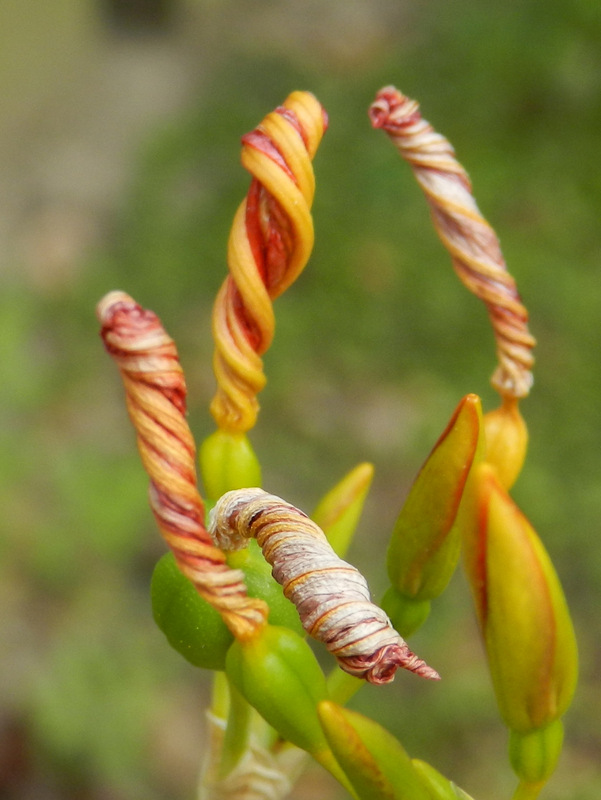 These lily buds twist themselves around when they are finished blooming, or at night, I’m not exactly sure which. Either way they make for an interesting visual. The Ruby Throated Hummingbird is the only hummingbird that breeds in the Eastern United States. This female stopped by the feeder on my deck long enough for me to get this photo. 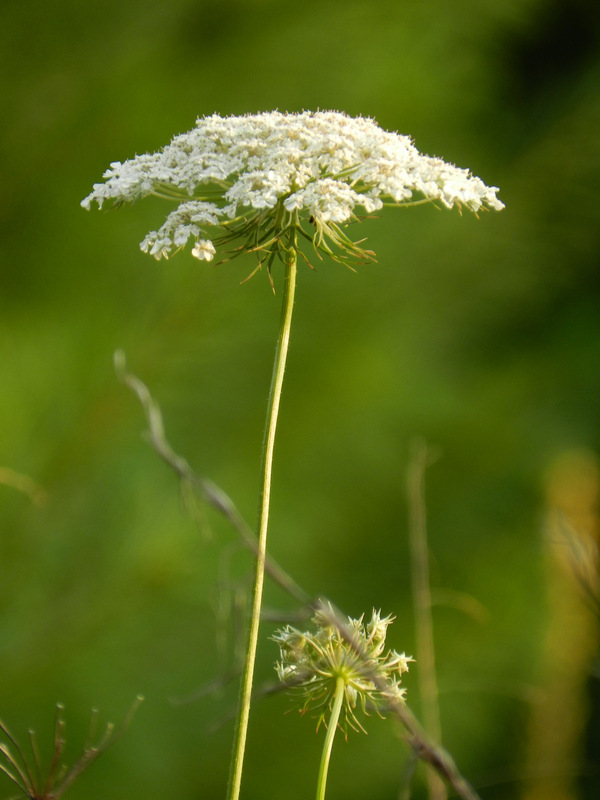 The mountain bike trail I was riding passed through an open field filled with blooming Queen Anne’s Lace. I was there in the evening to capture this image as the sun warmly light everything from a low angle.